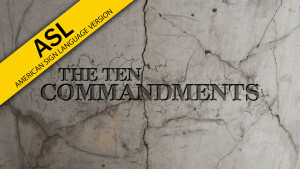 Many people believe that the Ten Commandments represent God's law for mankind today, and that if we will simply obey these things we will be pleasing to Him. Others argue that the Ten Commandments represent a portion of God's old law that is no longer binding. The secular world fights to have the Ten Commandments removed from all public venues. In truth, what should our stance be? In this lesson, Don Blackwell opens the Word of God and answers this important question. 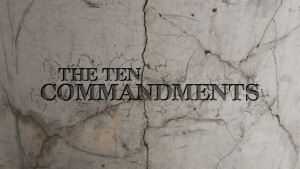 What are the Ten Commandments? 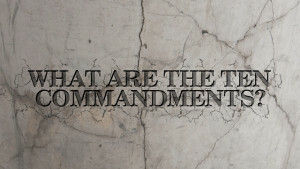 Given to Moses and the children of Israel, the Ten Commandments were important in God's covenant in the Old Testament. For the Christian, are the Ten Commandments binding? What should the Christian's stance be concerning their significance? In this lesson, Don Blackwell opens the Word of God and answers this important question. 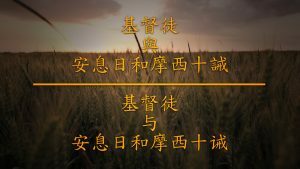 Many people believe that the Ten Commandments represent God's law for mankind today, and that if we will simply obey these things we will be pleasing to Him. Others argue that the Ten Commandments represent a portion of God's old law that is no longer binding. The secular world fights to have the Ten Commandments removed from all public venues. In truth, what should our stance be? In this lesson, Don Blackwell opens the Word of God and answers this important question. Interpreted into American Sign Language by Michael Fehmer. What about the Sabbath day? 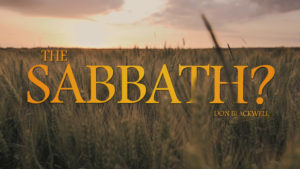 Should Christians set aside the Sabbath as a day of rest and worship? Join Don Blackwell as he examines what the Old Testament and New Testament says about the keeping of the Sabbath. What about the Sabbath day? 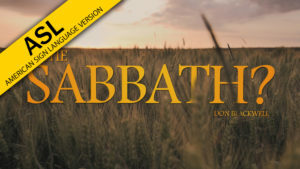 Should Christians set aside the Sabbath as a day of rest and worship? Join Don Blackwell as he examines what the Old Testament and New Testament says about the keeping of the Sabbath. Interpretation into American Sign Language by Michael Fehmer.